A rudder from Oracle Team USA’s AC72 racing catamarans will make an appearance in Annapolis at Mack Boring and Parts Co.’s Yanmar booth during the U.S. Sailboat Show, which starts Thursday and runs through Sunday. The 12-foot-high carbon fiber rudder was transported from San Francisco following the Oracle team&apos;s come-from-behind win in the 34th America&apos;s Cup. Visitors are invited to bring cameras to get their photo taken while standing next to this piece of America&apos;s Cup racing history in booth A-31, Tent A. 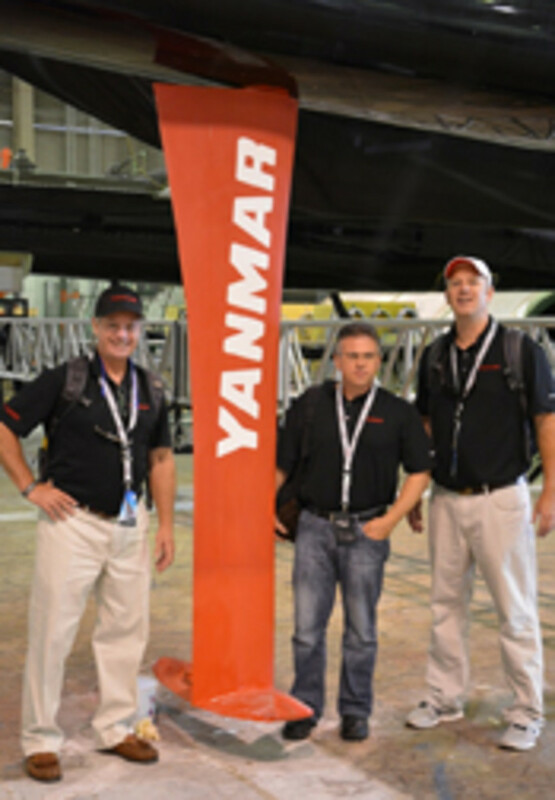 As an official technical partner of Oracle Team USA, Yanmar provided the engines and drive systems for the team&apos;s two chase boats. Mack Boring, which turned 90 last year, distributes marine and industrial diesel engines, generators, transmissions and accessories.